In response to preoccupations of the French public regarding globalisation, a multidisciplinary team was set up by Christine Lagarde, the then french delegate minister for international commerce, tasked with proposing an action plan. This report presents the results of their work. It proposes a selection of inovative solutions to promoting an objective understanding of globalisation as well as assesing its negative effects in order for France to best harness the opportunities presented. 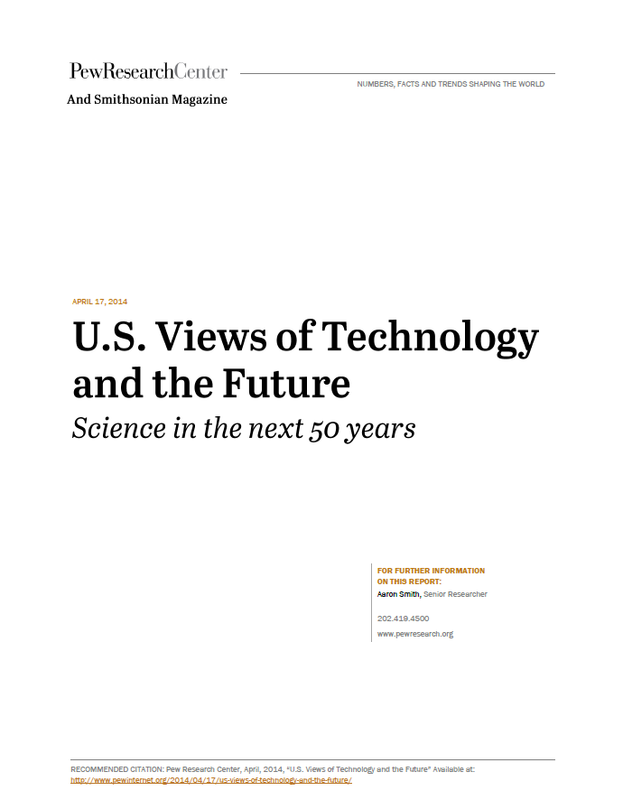 This report emerges from the Pew Research Center’s efforts to understand public attitudes about a variety of scientific and technological changes being discussed today. The time horizons of these technological advances span from today’s realities—for instance, the growing prevalence of drones—to more speculative matters such as the possibility of human control of the weather.